Unveiled by Queen Elizabeth II in Victoria Embankment Gardens last Thursday, the Iraq and Afghanistan Memorial recognises the contributions of the many hundreds of thousands of UK armed forces and citizens deployed in the Gulf region, Iraq and Afghanistan between 1990 and 2015 – including the 682 service personnel who died – and those who supported them at home. 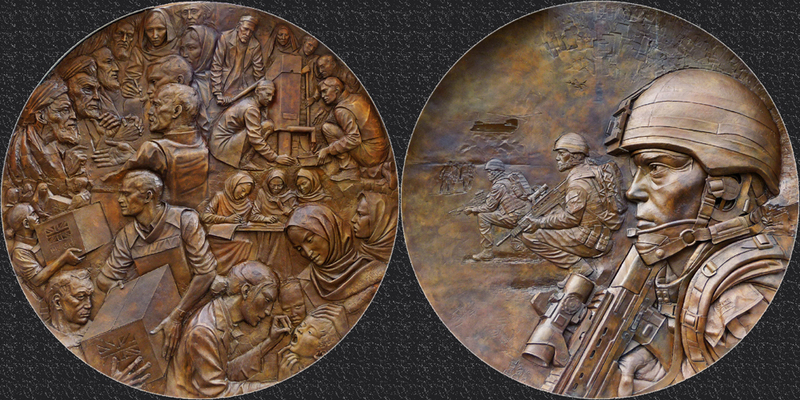 The memorial was designed by sculptor Paul Day and features two large stones – one representing Afghanistan and the other Iraq – which are linked by a giant two-sided bronze ‘tondo’ depicting the concepts of ‘duty’ and ‘service’. Inclusive of all who contributed, both military and civilian, the monument bears no names. 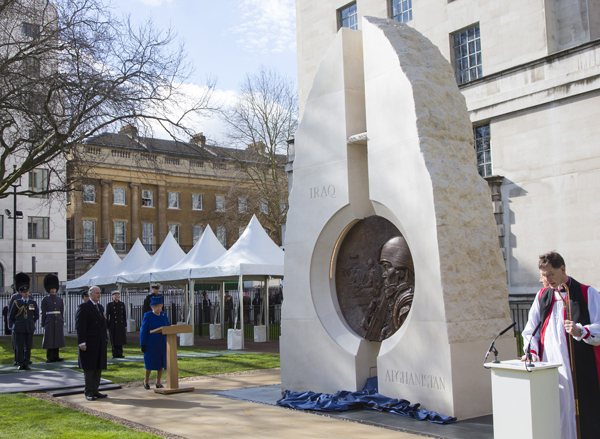 The Queen was accompanied by the Duke of Edinburgh and among others who attended the ceremony near the Ministry of Defence was PM Theresa May and Secretary of State for Defence Sir Michael Fallon. PICTURES: Top – © Crown copyright 2017.